Hello again! We’ve got more *Best of 2018* posts for you this week, including research on the relationship between drug testing policies for welfare recipients and white labor force participation, as well as research on why poor parents say yes to junk food. We’ve also got new posts covering the stalled gender revolution and undocumented Asians. “Best of 2018: Criminalizing Dance to Demonstrate Power,” by Isabel Arriagada. After teenager Maedeh Hojabri was recently arrested and imprisoned by Iranian authorities for posting Instagram videos of herself dancing, we rounded up research on the purpose of such legal sanctions. “Best of 2018: The TANF Tinkle Test,” by Amy August. New research in The Sociological Quarterly finds that states implementing drug testing policies for “Temporary Aid to Needy Families” program applicants were more likely to see recent declines in white labor force participation and have a Republican governor. “Many Americans Still Resist Gender Equity in the Home,” by Amy August. The New York Times covers research by sociologists William Scarborough, Ray Sin, and Barbara Risman on why the gender revolution has stalled. Best of 2018: Why Poor Parents Say “Yes” to Junk Food, by Nahrissa Rush. In an op-ed earlier this year for the Los Angeles Times, Priya Fielding-Singh explains that junk food consumption is an emotionally-rooted decision for impoverished parents. 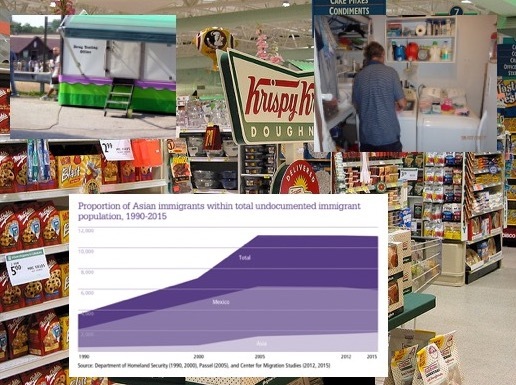 “Undocumented Asians, Left in the Shadows,” by Soo Mee Kim and Aggie J. Yellow Horse.